Vegan mascara – who knew that was even a thing? 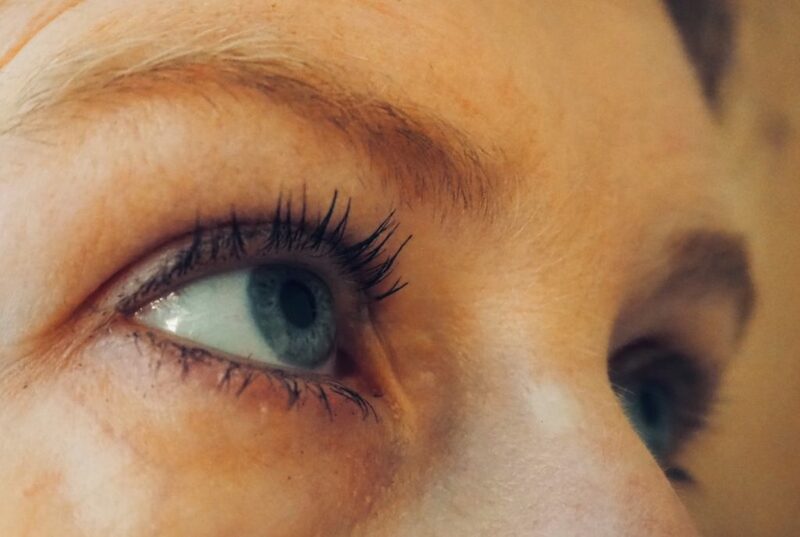 Now, you might be wondering what makes a mascara vegan or not. Do they normally have meat in them? (Meat mascara! Imagine that!) Not as far as I’m aware, but some mascaras contain beeswax, and this is what makes them vegan unfriendly. 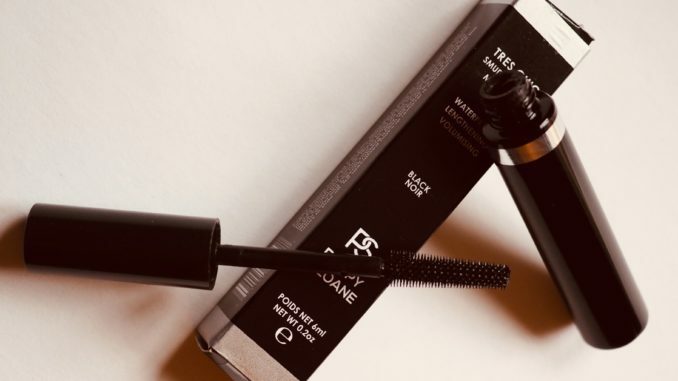 Poppy Sloane Tres Chic mascara, which we’re looking at today, used to include a little beeswax, but it has now been reformulated without. Not only is it now vegan, it’s also more volumising (thanks to the addition of bamboo). Poppy Sloane is a new brand to me, but they are an independent UK-based company specializing in smudge-proof mascara. All products and ingredients are cruelty free and formulated in the UK. I like that their range is quite small because they’re clearly focusing on doing one product really well rather than a bajillion half-heartedly. 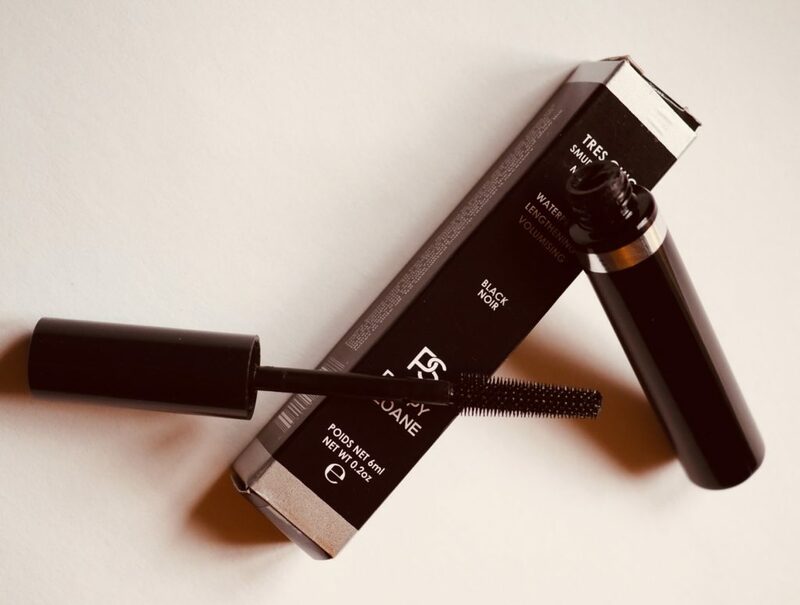 As you can see from the picture below, this vegan mascara is excellent at lengthening and adding volume. It’s a tubing mascara, so what it’s doing is building tiny flexible polymer tubes around your lashes. Once they’ve dried, the tubes stay put until you’re ready to remove them with warm water. The brush is quite long and of medium weight, so you can apply several coats quickly before it sets. I’ve been testing Poppy Sloane mascara for the last week, so it has been treated to trips to the gym and a night out at an Eighties covers band. It’s lasted very well, and particularly enjoyed the George Michael numbers in the encore. It doesn’t go crispy at the end of the day, which I’ve found can be an issue with tubing mascara. Taking it off was a total doddle, as you just press on the lashes with warm water and the mascara tubes will slip off. It’s a good choice for travelling, as you don’t need a dedicated eye make up remover. Any mascara-loving vegans you know who’re off on their holidays will love it. *PR Sample. Affiliate links may be used, but posts are not affiliate driven.